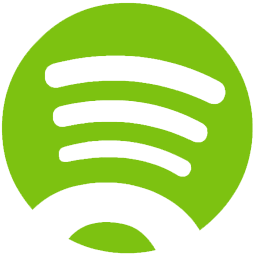 Download your Spotify playlist into mp3 easily. Note: We've detected that Spotydl's installer might attempt to bundle third-party software. We suggest to proceed with caution and select the "Custom" installation option to identify any potential unwanted software. This program also works with other web services so you can basically record or download anything you are listening to on the web. You can either download your songs from various mp3 sources or record it from Spotify. Just drag & drop your music in Spotydl. Then choose your mode, click on the button and enjoy. Spotydl will try to find your song on multiple mp3 websites, based on the title and artist. Several checks are made to limit the amount of wrong results, like comparing the duration with the Spotify original track. Please keep in mind that it works much better with well-known songs. If the song is not correct, you can right click and choose "Download another version". Alternatively, you can use the recorder. The download system should be improved in the upcoming versions. Spotydl can record the songs from Spotify. Please note that every sounds will be recorded, even some email notifications! You can turn off your speakers, it shouldn't impact the final result. The record system should also be improved in the upcoming versions, so that it can capture only the audio from Spotify. Once on your hard-drive, play your songs with the built-in player. You can also display information about the playing track with hotkeys. Wanna watch the video clip of the songs instead of playing the mp3 ? No problem. Hit the Youtube button and here we go.